Few musicians possess a level of ability that can be considered virtuoso. 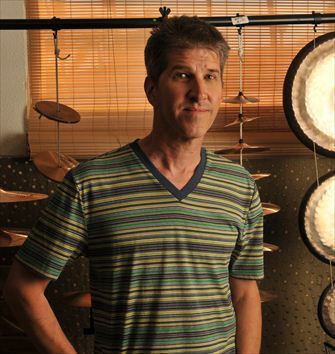 Chad Wackerman is just that…a true drummer’s drummer. He has amassed a remarkable body of work including a seven-year association with Frank Zappa, resulting in worldwide tours and 26 studio & live albums. His long association is with guitar legend Allan Holdsworth spans decades and has appeared on over 6 albums. Wackerman has recorded albums and toured with an eclectic list of artists including Barbra Streisand, James Taylor, Steve Vai, Andy Summers, Men At Work, Albert Lee, Colin Hay, Dweezil Zappa, Alan Pasqua, Carl Verheyen, David Garfield, John Patitucci, Joe Sample, Banned From Utopia, Robbie Krieger, and The World Drummer's Ensemble (featuring Bill Bruford, Luis Conte, Dou Dou Ndiaye Rose and Wackerman). His duo work with Terry Bozzio features a unique opportunity to see the two Zappa drumming masters in a percussive conversation. As a bandleader and composer, Chad has five critically acclaimed CDs, including his latest release, "Dreams Nightmares and Improvisations" - a collection of improvisatory collaborations and original compositions, which also features Alan Holdsworth, Jimmy Johnson and Jim Cox. For more information on Chad, please visit www.chadwackerman.com.